The PST Enterprise “zero footprint” client application is downloaded automatically as required, and runs in the background in memory. It automatically locates all PST files by systematically scanning end-user devices, network drives, removable devices, and Outlook profiles. PST Enterprise uses in-depth analysis to automatically assign an owner for each PST file, gathering additional file information from Active Directory. Tolerance values allow problems encountered during processing to be managed, and identify issues that cannot be resolved automatically. PST Enterprise will determine the owner for most PST files automatically. For those few where this is not possible, full details are listed here to allow the Administrator to select an owner. Once an owner has been assigned to a PST file, whether this is done automatically by PST Enterprise or assigned manually by the Administrator, each file will be listed here so Administrators can manage and monitor the automatic PST migration process. Granular search criteria enable Administrators to define custom views that focus on a specific set of PST files, for instance listing all files for a particular location or team. This provides an effective way of managing a large or complex PST migration project. 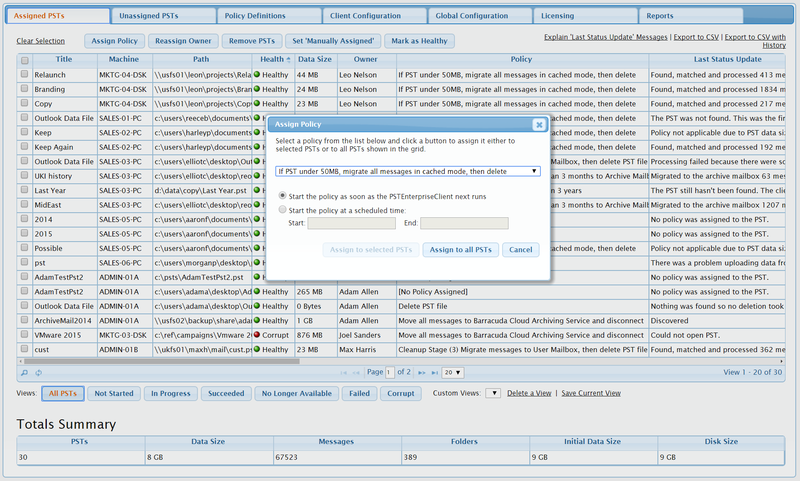 Policies are created by Administrators to determine how PST files should be processed. A wide range of options are available covering aspects such as message selection, migration methods, and the disposition of files after migration. 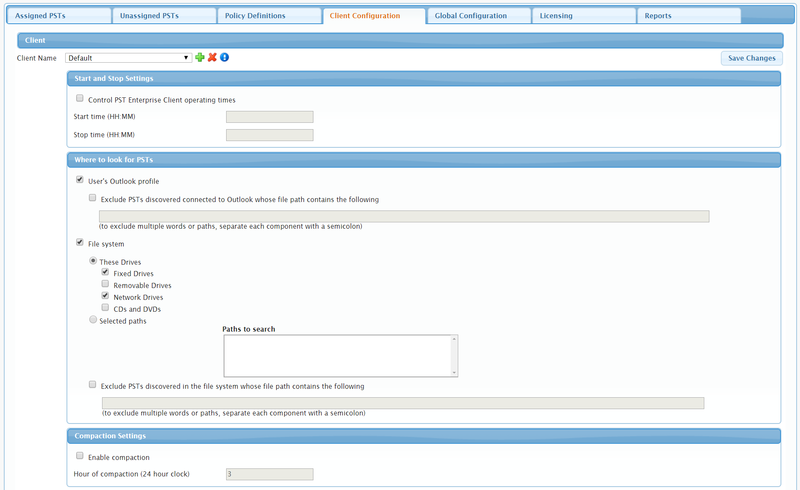 Multiple policies can be combined to meet the most complex of requirements. 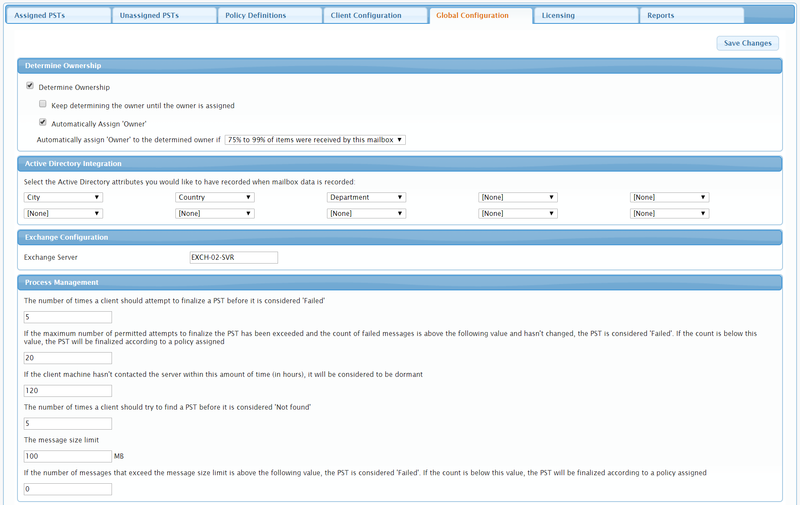 After the Administrator has assigned a policy to a PST file, processing of that file starts automatically based on criteria specified in the policy. PST migration runs in the background without impacting end users, and parallel processing minimizes the impact on network resources. 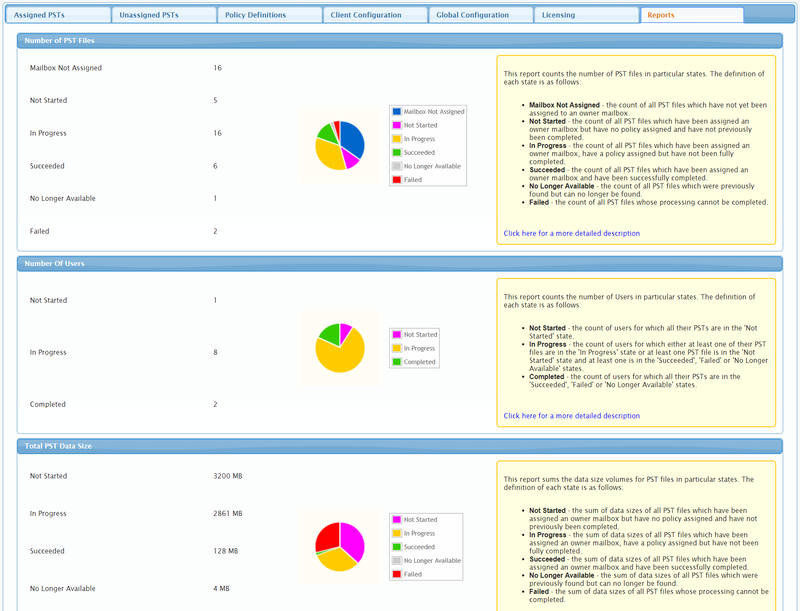 Progress reports and graphical displays provide Administrators with an up-to-the-minute view of PST migration operations and processes. 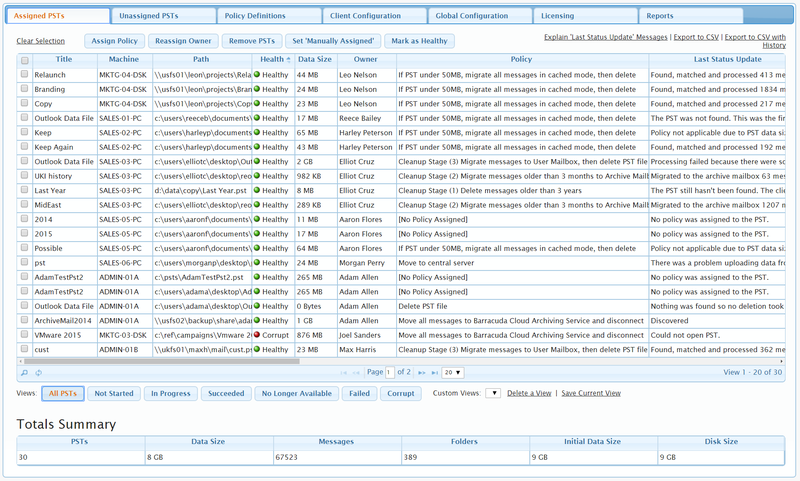 These are backed by incremental status updates and a detailed processing history for each individual PST file. 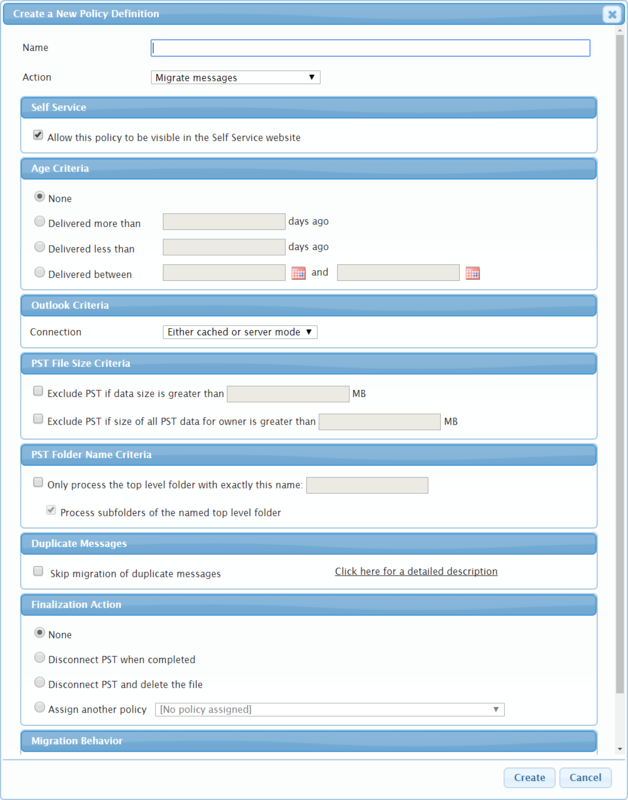 This optional feature provides each user with a list of all PST files they are responsible for. They can then decide which processing policy should be applied to each of their files.